Sunlight/heat. 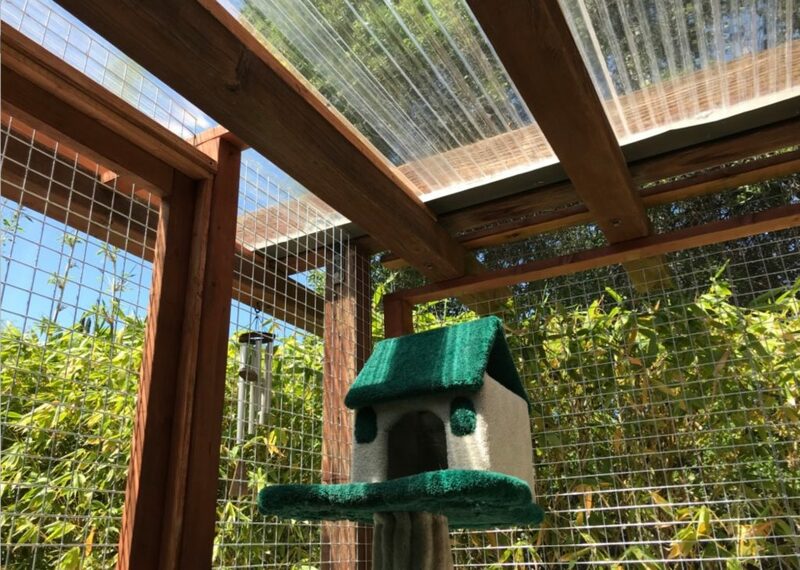 If you live in the heart of the Valley where summer temperatures regularly swell into the 100’s, it’s a good idea to provide plenty of shade for your cats. Breezy beach homes don’t have to worry as much about the heat, but still should aim to provide some shade. 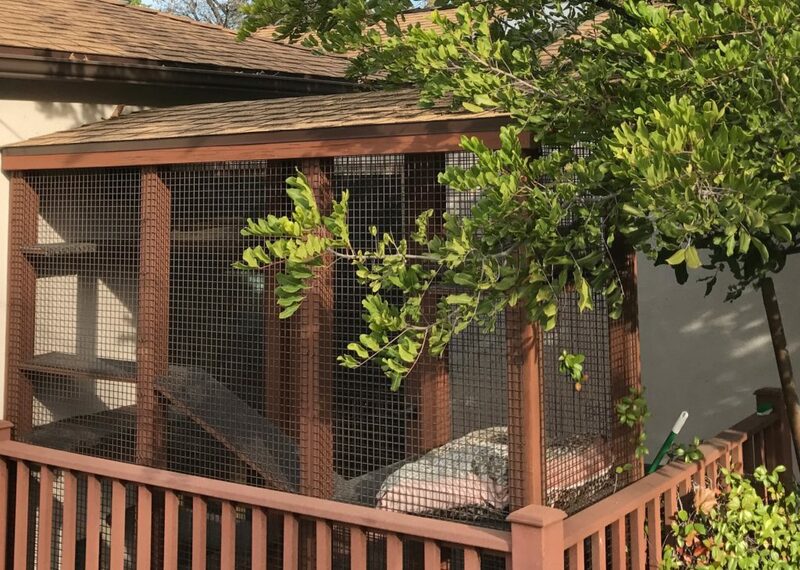 Ideally, the enclosure will allow cats to hang out in the shade and/or sun throughout the day. Note, cats (especially white cats) can get skin cancer and should be examined regularly. Rain. 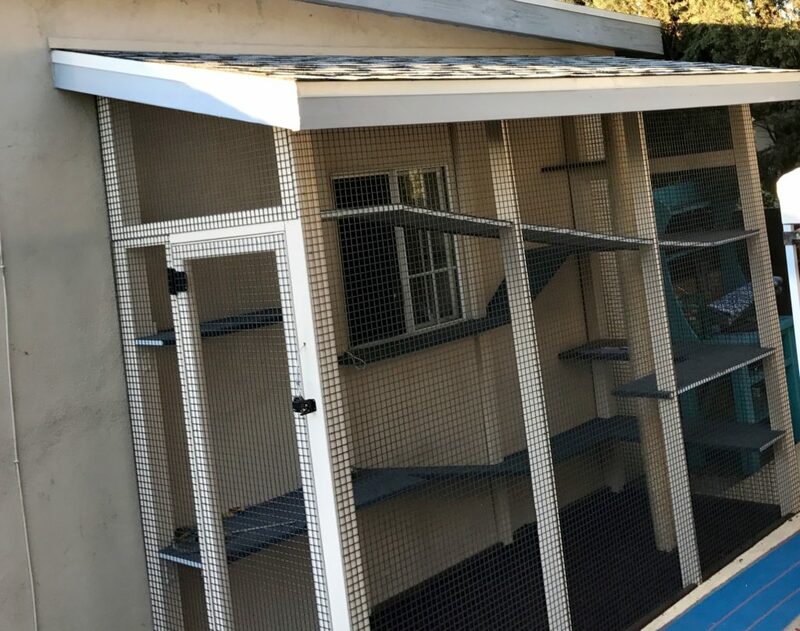 While it rarely rains in Los Angeles, a solid roof is necessary if you intend to always have your cats utilize an outdoor litter box. Be aware, however, that some cats, including Monkey and Cooper, refuse to use an outdoor litter box in severe weather. Aesthetics. 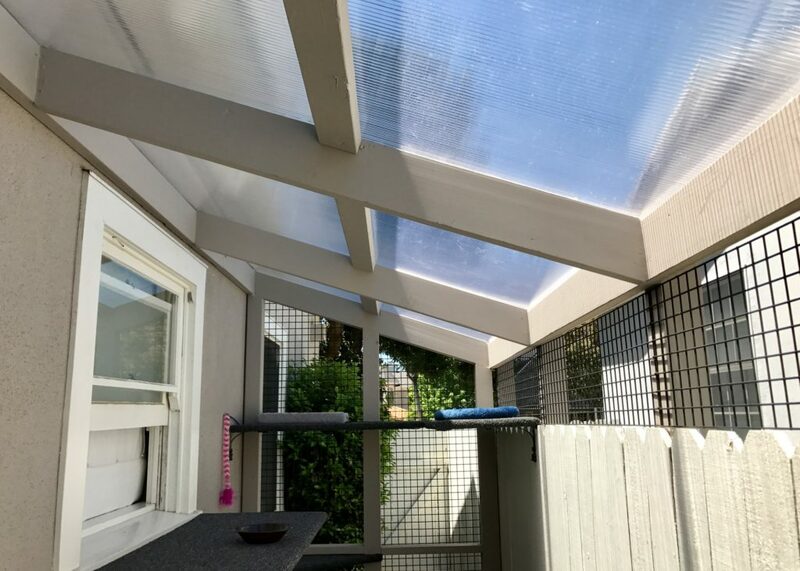 Normally, it’s best to match the home and catio roofs, especially if they appear in normal sight-lines. In other words, pair a shingle catio roof with a shingle home roof when they are next to each other and are both visible from the ground. Interior lighting. 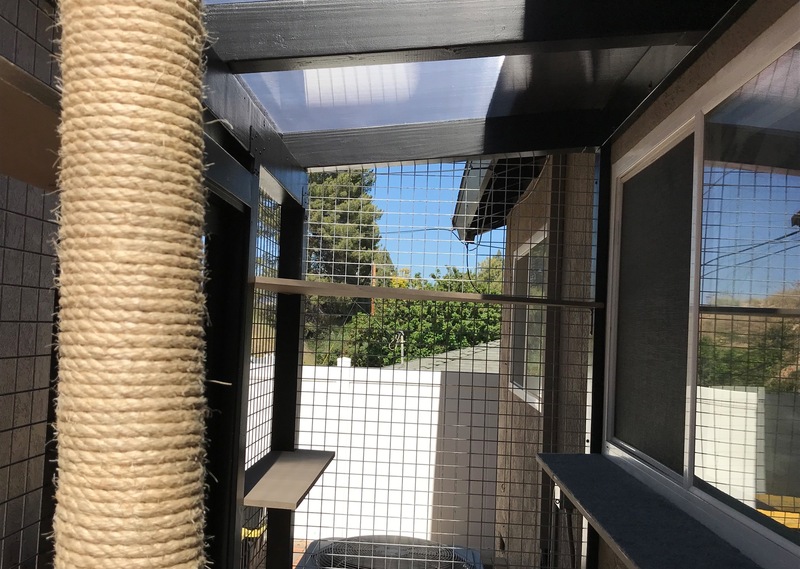 It is not uncommon for a catio to block the only window to a room. As such, using a solid roof severely limits the amount of natural light reaching the house. In this case, we recommend a clear or translucent roof. 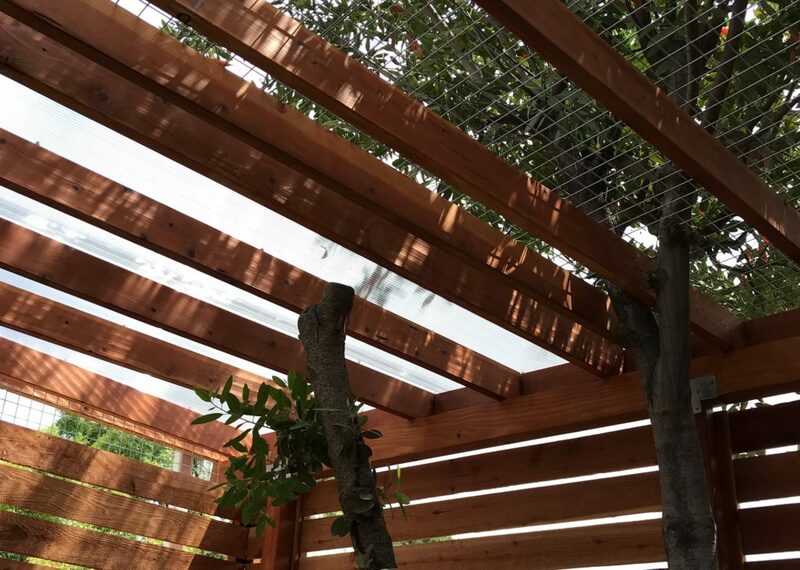 While we generally advocate for a beautiful polygal material, clients on a budget can turn to the less expensive polycarbonate material often found on sheds or greenhouses. Budget. 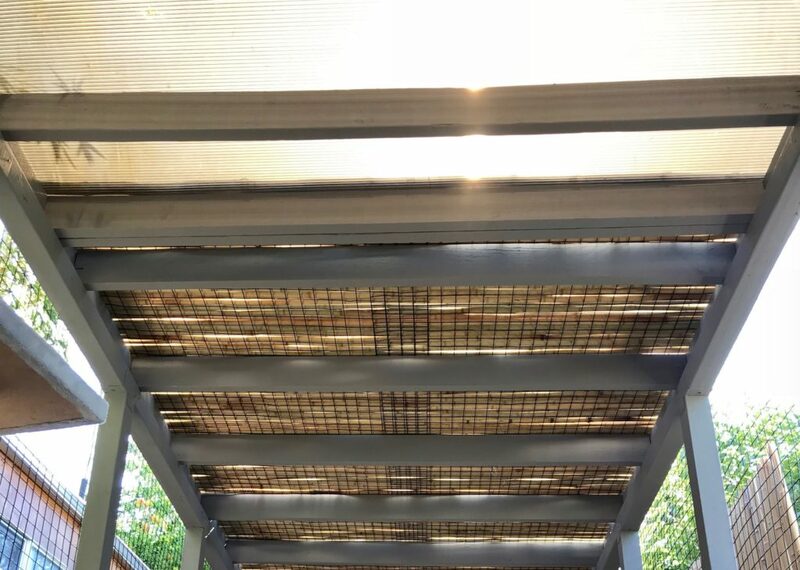 A mesh roof is generally the least expensive option and can be effective when a roof overhang provides partial shade and cover. 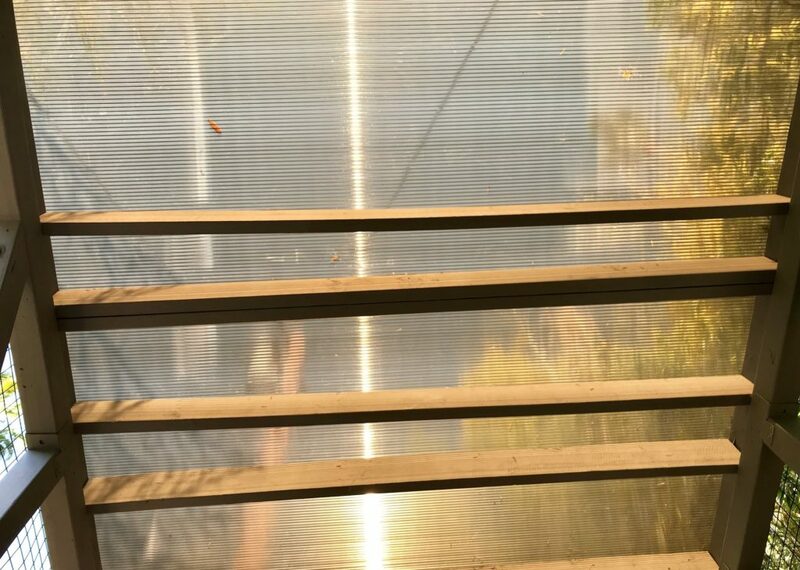 The polycarbonate route is the best option for the budget-conscious who desire a solid roof. 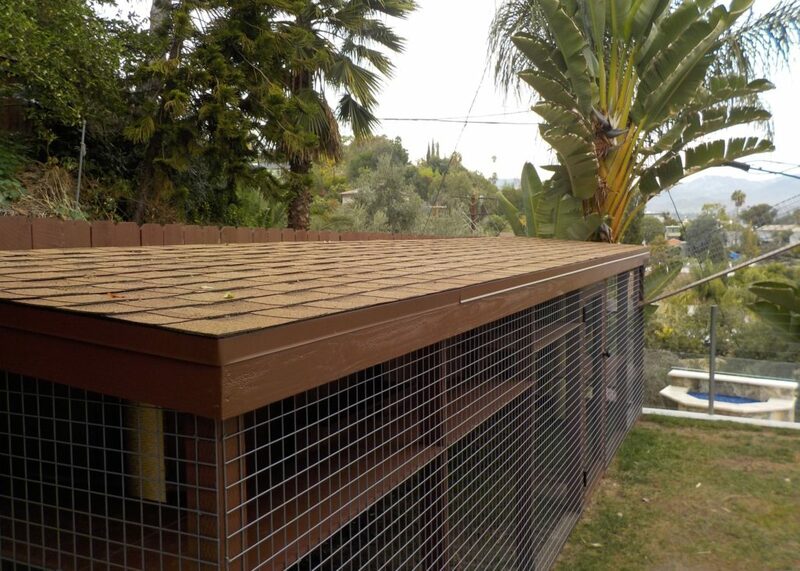 The polygal roof, which is probably our all around favorite, offers a middle price point. Finally, a shingle roof is the most costly because it generally requires an extra half day of labor. 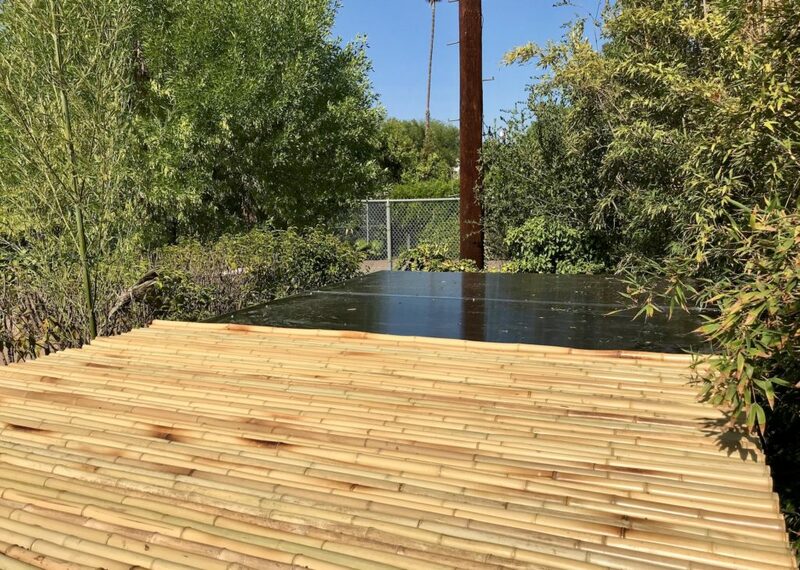 Similar to a home roof, a shingle catio roof is a painstaking process that requires a layer, a beam, rafters, plywood, paper, shingles and flashing. At Custom Catios, we work with our clients to determine the best possible solution given their particular situation.